Our 72 bedrooms are contemporary and luxurious. Choose from a variety of grades of rooms and additionally we offer the lavish Platinum Room and Maddox Suite. 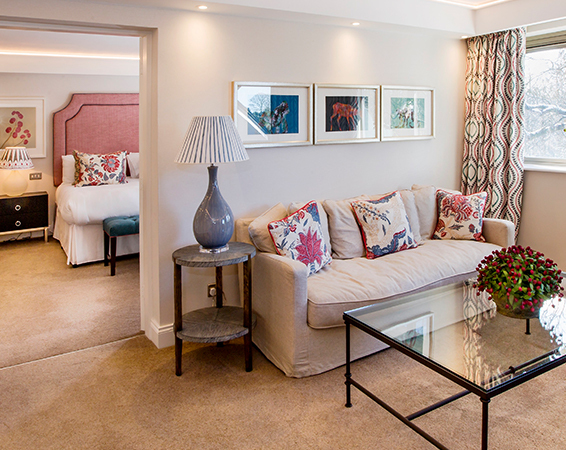 All rooms feature quality and modern furnishings with chic colour palettes. A restful nights sleep is guaranteed in our comfortable beds and relaxing setting. Breakfast offers a wide selection of Full English, Chef’s specials and Continental choices, along with catering for all dietary requirements. Complimentary WIFI is available throughout the hotel with convenient free parking on our 180 space car park. Treat yourself to a relaxing and luxurious short stay break at The Wrightington Hotel & Health Club.